Ireland, “the Land of Saints and Scholars,” is one of the most visually stunning places on Earth. With its rolling green hills, sleepy villages, and rich cultural history, visiting Ireland is truly a dream come true for many people. 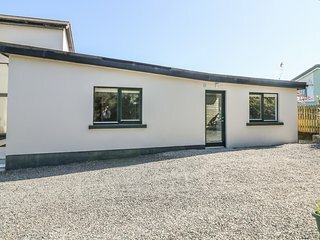 For many families visiting Ireland, vacation rentals provide the perfect balance between comfort and luxury, and there are many to choose from, so your family is sure to find one in the perfect location. For families staying in Ireland vacation rentals for the first time, planning how to get around might seem overwhelming. Fortunately, exploring the country couldn’t be easier! Renting a car is by far the best way to go sightseeing. Public transportation is available but not ideal for large, busy families. Weather in Ireland can be unpredictable but rarely extreme. The temperatures average about 50°F, with summer topping off at no more than 68°F. July and August typically get about 18 hours of daylight, with the sun setting around 11 p.m.! Winter temperatures are generally around 46°F. 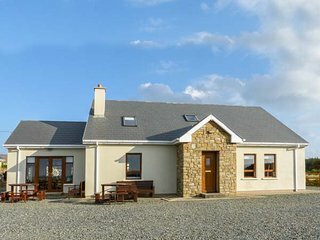 When checking out vacation rentals, Ireland visitors should know that any time of the year is the perfect time to visit! Northern Ireland: Visit St. Patrick’s gravesite in Downpatrick. Ireland’s Islands: Ireland has many diverse, scenic islands full of history. The Southeast: This area includes the Kilkenny, Carlow, South Tipperary, Wexford, and Waterford counties. Waterford is the oldest city in the country. The Southwest: With some of Ireland’s most beautifully scenic areas, this region is a must for tourists. Make sure to check out Cobh Harbor, the site of the Titanic’s last port of call before its fateful journey. Shannon Region: This area includes the River Shannon and beautiful open moors. The West: Known as being “an hour nearer the sunset than the rest of Europe,” the west region is home to Croagh Patrick, one of the country’s biggest landmarks. East Coast & Midlands: This area within Ireland is home to many castles and cathedrals. It also features the Hill of Ulsneach, the site of the Druid Fire Cult’s Samhain and Beltaine festivals. The Northwest: This sleepy, quiet region filled with charming villages is a representation of old-timey Ireland. Visiting Dublin: Ireland is home to five winners of the Nobel Prize for Literature. The Dublin Writers Museum features dozens of books, recordings, letters, and much more from some of the most popular Irish writers. Killarney National Park is a stunning display of natural Irish wildlife. It offers beautiful mountains, woodlands, lakes, and rare species like the native red deer. Brú Na Bóinne, located in County Meath, is a prehistoric feature that predates Stonehenge and the Egyptian pyramids! This necropolis was designed around 3200 B.C.E. during the Stone Age and features a chamber that fills with sunlight during the winter solstice. 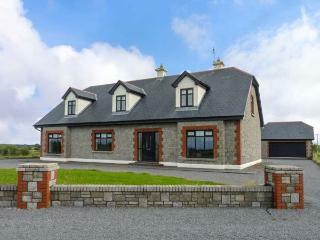 Cliffs of Moher is worth the drive from Ireland vacation rentals. The impressive landmark boasts spectacular views of the coastline and is a great backdrop for photos. It's also just a short distance from O'Brien's Tower for a great lookout point. Visit Blarney Castle and kiss the Blarney Stone in County Cork. It's said that kissing the stone will give someone the gift of gab and is a must for first-timers in Ireland. Visitors to Ireland must try some of the country’s traditional foods! Many tourists may already be familiar with shepherd’s pie and soda bread, but skirts and kidneys, colcannon, and potato bread are other popular dishes that should be sampled. Soda Bread and Potato Bread: Soda bread is made without yeast, while potato bread is made with potato in the place of most of the wheat. Shepherd’s Pie: This is a hearty pie made with layers of mashed potatoes, minced beef or lamb, and vegetables. Skirts and Kidneys: A type of stew is made with pork trimmings. Colcannon: This dish consists of mashed potatoes with cabbage or kale. 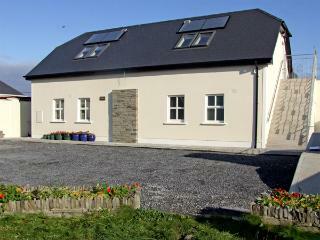 For visitors interested in Ireland vacation rentals, Ireland offers many fun annual festivals and events. If you book your trip during one festival, make it St. Patrick’s Day: That’s sure to be a holiday to remember! Fleadh Cheoil na hÉireann (August): This traditional Irish music festival features musicians and performers from all over the country. 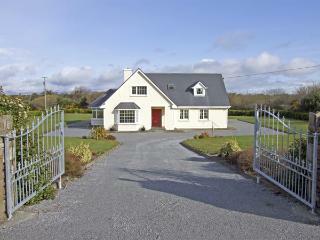 When visiting this beautiful country, Ireland vacation rentals are the perfect way to immerse yourself in Irish culture. Whether you spend most of your time enjoying your quaint cottage in the countryside or going from pub to pub in the cities, you'll leave with a little Irish in your blood.